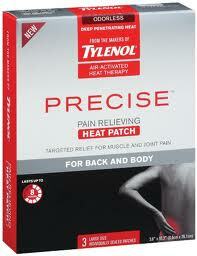 Free Tylenol Patches & Tylenol Precise Cream at Walgreens - Who Said Nothing in Life is Free? Tylenol Precise Creams are $3.99 B1G1 50% off making 2 of them $5.98. Use the $6/2 Motrin/Zyrtec/Tylenol coupon from the 1/9 SS to get them free. This also works with the Tylenol Precise Patches for Back and Body (same price and same coupon). where is the $6/2 coupon? I have my CVS and Rite Aid list ready for the morning… I can not wait! Stealing posts again are we? I found this on HCW so I don’t know what you are talking about!!!! Please tell me whoever wrote that was joking! Amy always links back and gives credit to people she got her posts from. Sites like HCW & SD don’t require that, and HUNDREDS of bloggers get their posts from those sites. You should substantiate your claim. Thank you… I link on any deal I find on a blog or that is emailed to me (if I hadn’t seen it already on a forum). Funny you should say that, my blog posted this yesterday, just hours before, and it’s funny.. this blog is on my sitemeter as a “recurring frequent visitor” with a time shortly after I posted. Amazing. I am confused… whos blog shows up looking at what blog… I can assure you, I saw this on HCW the second it was posted (I have it set up to email me with each new post from CVS and Wags) and I sent it out to a ton of blogs as soon as I posted it. I think that you are doing a fantastic job, Amy. Keep up the great work!! Thanks Amy! I posted a link back to your site. Is there a printable for this ? Yep, it was a Smartsource.com coupon! wow some people are childish. I just went to my store for this deal, and mine were $4 off so $3.99 each. I looked everywhere for an in store coupon that would make it free but didn’t see anything. My cashier said that all Walgreens sales are the same? Did anyone else find this deal at their store? After all of this I decided I needed to go back to Walgreen’s and get this clarified. My favorite cashier and I played with the product because the only thing in the ad is the $4 off making it $3.99. We tried 2 of each product. The cream rang at 3.99 for the first one and 1.99 for the second one. I paid 37 cents tax after the $6/2 coupon. Likewise the back pads rang the same way and I paid the same 37 cents tax. But the arm/knee pads did not ring that way. They rang as a straight 3.99 each totalling over $8 after tax. I did not buy those. So if you want this item take what you want up to the cashier and get her to check it. Be aware that at my store the 4 pack of arm pads did not work but the 3 pack of back pads and the cream did. Thanks for verifying that this does work !!!! Thanks for posting this Amy I’m having a hard time finding the Motrin PM at Walgreens and I can definetly use the Tylenol for my husband!